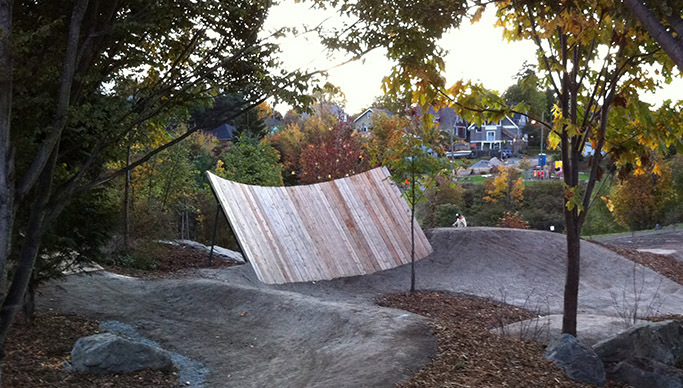 Throughout 2014, The McLaren Bike Park Core team has been working with the landscape architect and Alpine Bike Parks on cost estimates for phase 1, and outlining exactly what our $500,000 in construction grants will build. We’ve taken what we’ve learned and are now able to dive into the details of Phase 1: Intermediate level pump track and family skills trail. 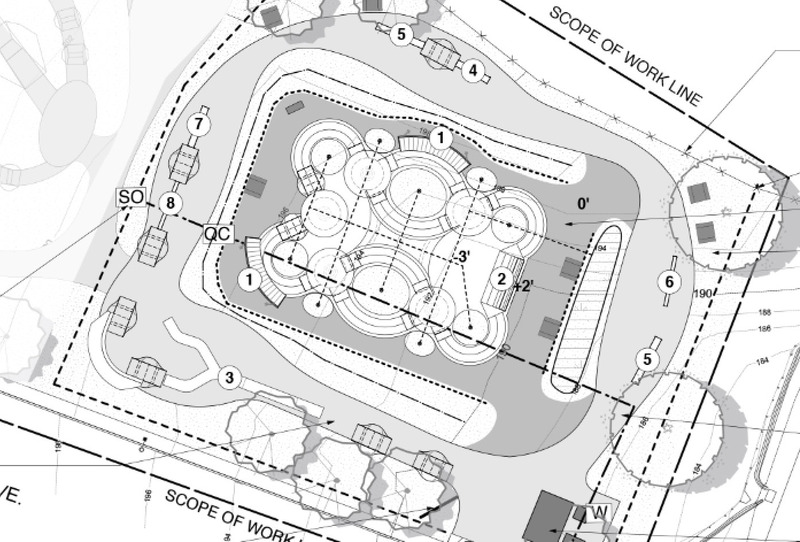 This latest plan shows that extra level of detail, and prepares us to move ahead into construction documents or “CD’s”. Construction documents are the very detailed drawings and specifications that inform the construction of the project, and will include grading, drainage, landscaping, site furnishings and materials, and construction details for custom elements. The reality of construction on public land in the city of San Fransciso has yielded a smaller footprint than originally anticipated, but a higher level of features within that space. 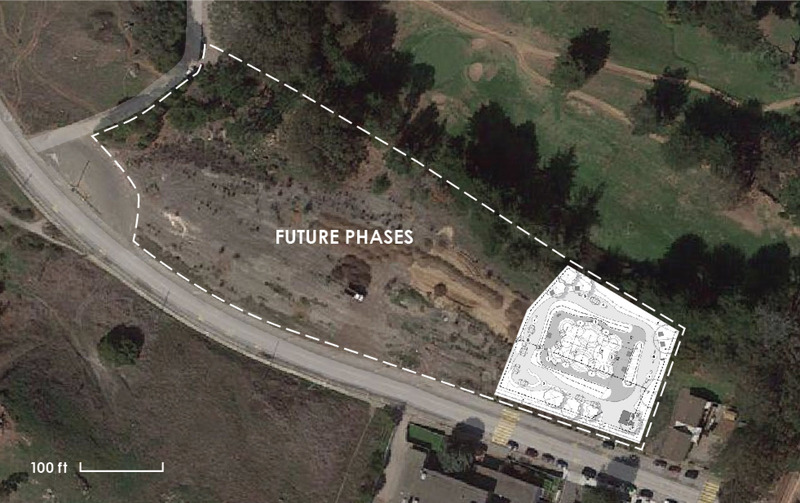 The space for phase 1 will utilize .75 acres of the four acre site, leaving over 80% of the space for future phases. Since the construction grants are not specified to fund design, we’ve also been working to raise design funds. In total, we’ve raised over $55,000 in grants and Founders Club donations for design, which will fund the project up to late April, when we’ll begin creating final construction documents. For final CD’s, we’ll need to raise another $50,000, fully funding Phase 1 and putting shovels in the dirt in 2016!!! Check out the projected schedule here. Once Phase 1 is completed, it will become shining example of what’s possible for the rest of the site. 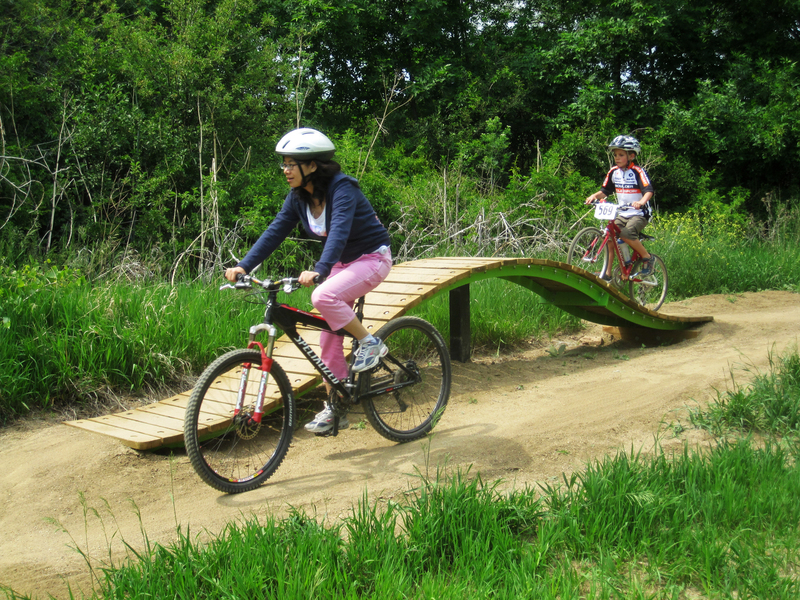 Funding of the remaining phases of McLaren Bike Park should go much quicker as a result of the desire for more advanced features, like the planned expert pump track, progressive and pro dirt jumps, slopestyle course, slalom and short track downhill courses, XC trails, cyclocross features… and much more. Once the remaining phases are completed, phase 1 will remain as the beginner area of the bike park. The design team is currently working hard to coordinate with public agencies, stakeholders, and future riders to make great tracks in 2015. To support McLaren Bike Park and help keep the project moving as quickly as possible, please donate and become a part of the Founders Club. Without the support of private donors like yourself, we wouldn’t be this far, and we’d never have a bike park in San Francisco. Thank you to everyone who’s supported the project in the past, and those who will help in the future!